A new year has arrived, and with it, the time for new cocktails to try. Based on the trends predicted by mixologists and bartenders for 2018, we’ve put together a collection of five cocktail syrups for the new year. Ranging from the more health conscious drinks like avocado and turmeric based cocktails to the cozy comfort of coffee, this year’s cocktails are culinary gladness, so pull up a stool and get to trying these flavor-filled syrups at your next night with cocktails. Turmeric is dubbed as one of the healthiest roots you can consume, offering anti-inflammatory effects, a strong antioxidant, improved brain function, and can help lower your risk for heart disease. 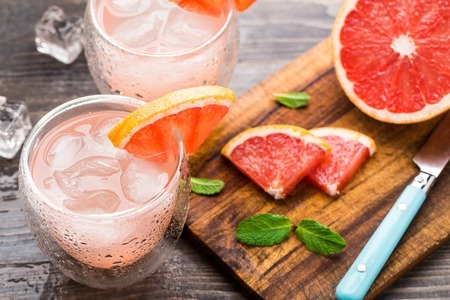 And with the trend in healthier living expected by Millennials, one of the top cocktail ingredients this year is this orange colored super food. This 8 ingredient ginger-turmeric honey syrup recipe from the New York Times offers possibilities for intriguing cocktails in 2018. A simpler honey turmeric syrup, from Natalie Jacob at the Archer Bar in Jersey City, New Jersey, can be used in her cocktail, The Yellow Line. With the continual coffee craze increasing as Millennials develop their palate, bars are creating more coffee infused cocktails to match their demand. 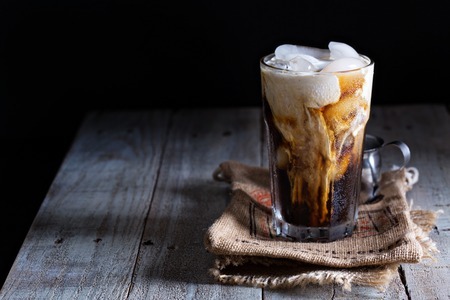 Anything from mint mocha to caramel or coconut coffee flavored cocktails can be found in trend setting “coffee shop by day/ bar by night” venues, as well as your favorite downtown restaurant. The simple syrup is our friend. With only two ingredients, you can brew up a coffee syrup to use for those amazing coffee cocktails. This works like a standard simple syrup. You use the water-based liquid (in this case, coffee) in equal ratio to granulated sugar. Simply combine the two ingredients into a saucepan, and stir consistently while you bring it to a boil. Simple enough. Avocado has to be one of the most flexible fruits in cooking because of the fatty, subtle flavor. The healthy fats and the smooth texture not only help this amazing fruit add that “something” to your salad or smoothie, but they’re making it one of the most popular items found in cocktails these days. The health benefits fit right into the trend that’s been seeing healthier bar tenders, lower ABV alcohols and more natural ingredients in cocktails in 2017, moving steadily into 2018 with strength. This avocado syrup from Melrose Umbrella Co. in L.A. will soothe your taste-buds while deepening your appreciate of the healthy fruit. This particular syrup pulls together facets from various trends in 2018. Pomegranates are healthy, come from the produce section at the local grocery store, and present vibrant color, perfect for those shareable moments on Instagram. With the super fruit reputation and bold color to please anyone’s hopes, this sweet pomegranate syrup from Tasty Kitchen will please the fruit loving crowd. Obviously, it won’t magically make drinking five of them in a night a healthy choice, after all, there is alcohol and sugar in the cocktails created, but they’re certainly a healthier option than many other drinks out there. One of the social trends making headway in 2018 will be the lessening of pretentious cocktail drinking atmospheres. Jim Kearns at Slowly Shirley in New York City believes that good cocktails will only get more popular this year, with broader appeal. Because of this, you’ll find that more bars are upping the ante on their fare while making things more casual and conversational. Millennials want to know their bartenders, their drink sources, and the ingredients they’re taking in. This chocolate syrup is perfect for pleasing your Millennial audience in various cocktails ranging from the simple chocolate martini to the Frozen S’Moretini involving toasted marshmallows and crumbled graham crackers. Your best cocktails this year will find source in healthy, natural ingredients, flavoring syrups in all colors. Bright orange turmeric and carrot cocktails, green matcha tea and avocado drinks, bright red pomegranate, and warm, creamy brown chocolates and coffees will keep your stock colorful and aesthetic enough for any Instagram poster out there.